One of my Grandma’s Scrapbooks is filled with poems that she saved about different subjects. In the past I have written two posts about poems from the scrapbook. See Autumn Poems and More Autumn Poems. 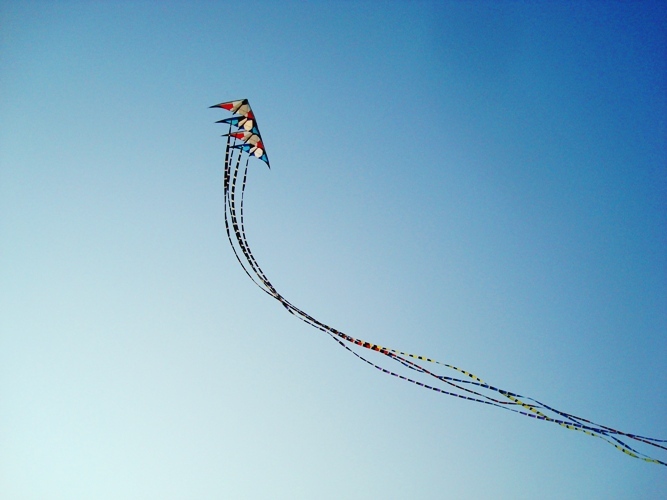 Tonight I had thought about adding to the series, but decided instead of Autumn poems to post a couple about kites. The scrapbook is from the 50’s or 60’s so you get an idea of when the poems were written. I always enjoy seeing kites flying and just recent read a book that included a scene where some kids fly a kite, so my mind started to wander as I saw the poems in the scrapbook. 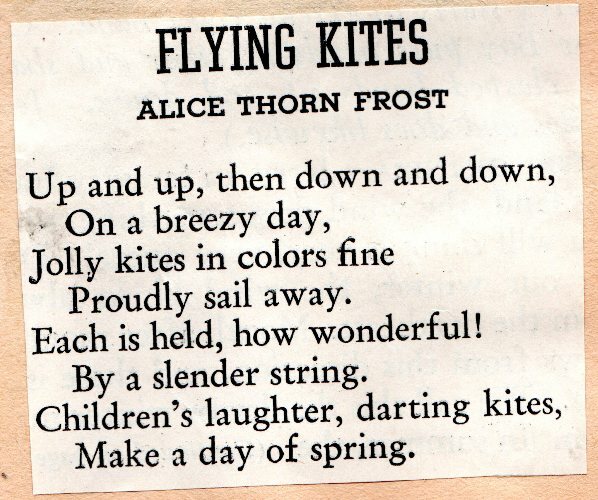 The first poem is Flying Kites by Alice Thorn Frost. I tried to find out more about the poet, but couldn’t find anything on-line. Each is held, how wonderful! Make a day of spring. The second poem is My Kite by Regina Albert. The poems were a bit crooked in the scrapbook, so I scanned them as is to share the feel of the scrapbook. And seems to swim in air. It turns and comes to me. 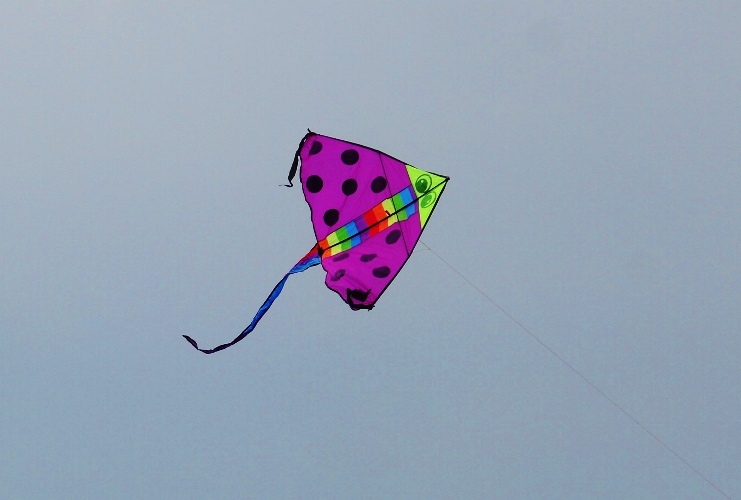 The pictures in this post come from my post Kites in Singapore. I hope you enjoyed the poems and the pictures. 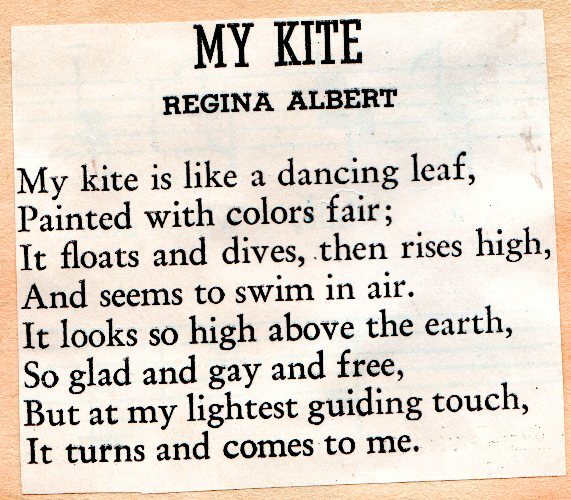 This entry was posted in Blog, Culture, Memories and tagged Alice Thorn Frost, Kite poems, Kites, old poems, Poems, Regina Albert, scrapbook, Singapore. Bookmark the permalink.